Large modern massage clinic on Sussex Street directly down the hill from the Town Hall. Specialising in Thai massage treatments, but we have a range of masseuses trained in Thailand, Taiwan and Korea. Formerly known as JK Queen Massage. Please call (02) 8283 8146 for an appointment, or just drop in. Directions: On west side of Sussex Street, between Bathurst Street and Druitt Street. Due west of the Town Hall as the crow flies. Only a 4 minute walk towards the city from IMAX Cinema in Darling Harbour (well, from where it used to be!). 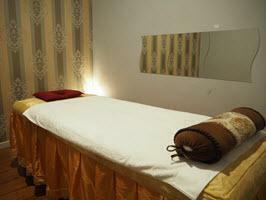 Specialty: A place of tranquility and relaxation from Korean, Taiwanese & Thai masseuses. We aim to cater for your specific needs. Parking: Plenty of parking stations along Sussex Street. Public Transport: Bathurst Street bus stops for routes coming in over the Anzac Bridge, and Druitt Street bus stop for westward routes are just around the corner. QVB bus rank is up the hill. Serving Areas: Sydney CBD, Darling Harbour, Cockle Bay, Town Hall, Chinatown. 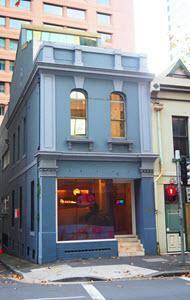 Premises: Exceptionally clean, modern fitout, mood lighting, quite spacious. Shower and bathroom available. 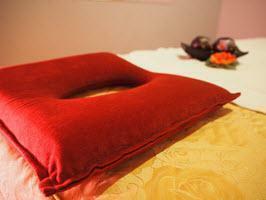 Looking for best in relaxation / remedial massage near Town Hall, Sydney City, Darling Harbour, Haymarket, Chinatown? Call (02) 8283 8146 or 0452 485 828 Now!